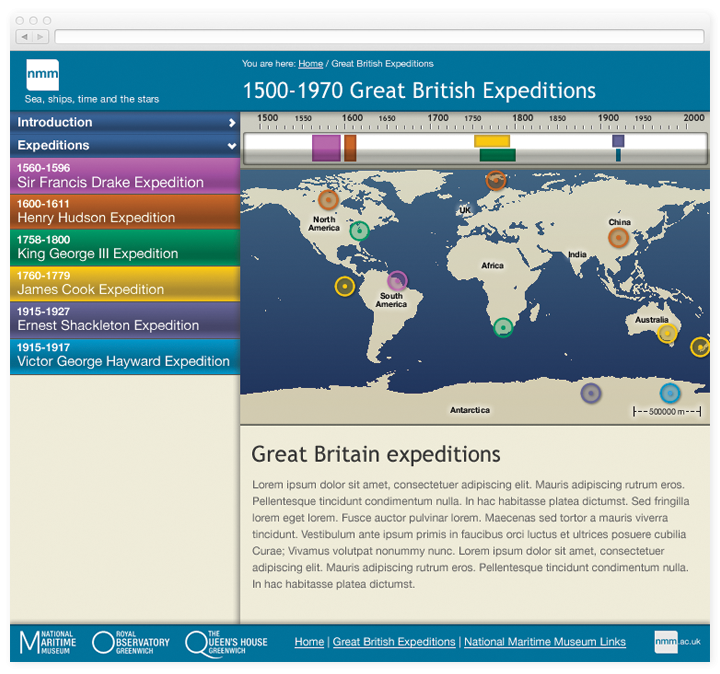 The Stories are a way to increase the visibility of huge archive material of the National Maritime Museums. From the website: "As well as being an unrivalled research resource, the archive collections hold many hidden narratives which unfold through the objects themselves. These web pages are designed to tell some of these stories." 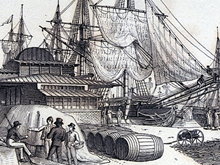 The National Maritime is a museums about explorations, throughout the world. 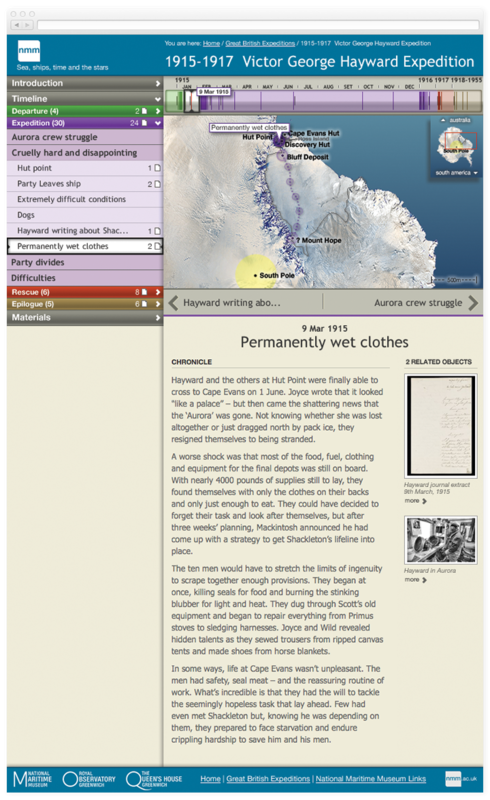 The Stories project began with the idea of creating some narrative path to reveal and unfold materials hidden in their archives, using text, images, a timeline and a map combined. The timeline is split into chapters and each chapter into a series of episodes. 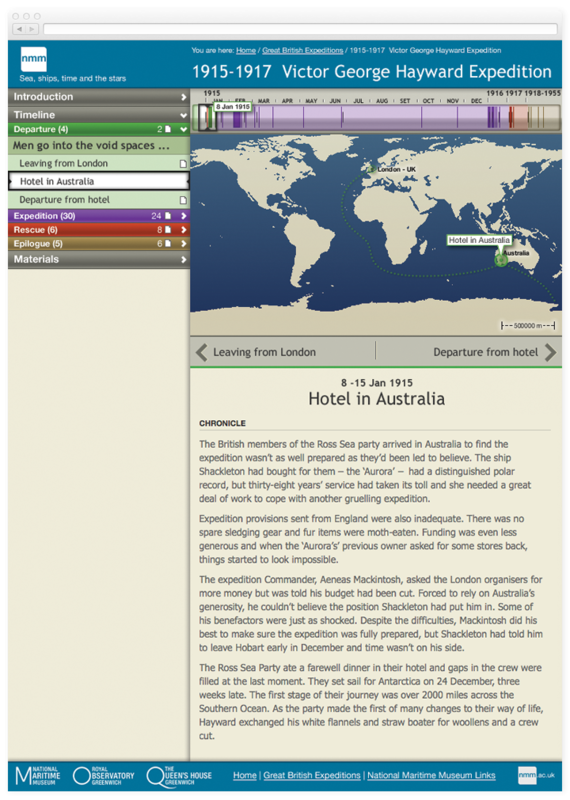 Episodes unfold a linear native, which can be followed on a timeline and plotted on a map. Interested visitors may follow the story linearly or jump from one chapter to another. 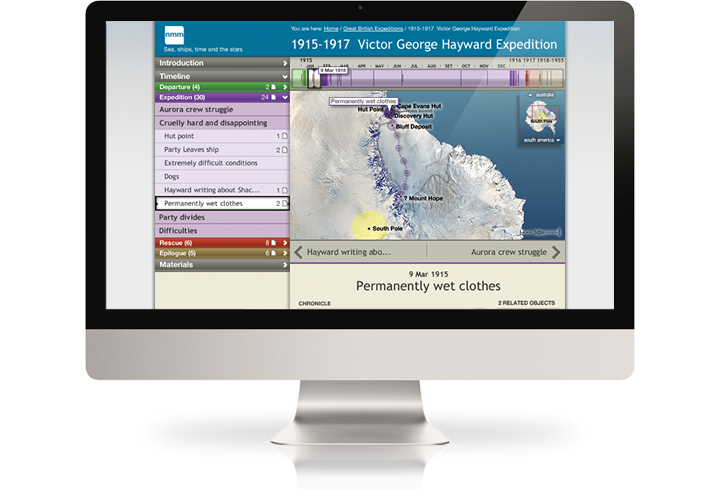 Each episode is linked to one or more documents from the archive, with contextual information. Each document may in itself lead to many other journeys.